Ross designs all system components by factoring a 100% load utilization and by calculating the effects that maximum unbraced arm length has on maximum allowable arm stress. Arms are fully welded and connected to columns with heavy hex structural ASTM A325 bolts with oversized heads. Dexco Racks are also engineered to better resist damage from material handling equipment and provide larger load capacity within a given space. 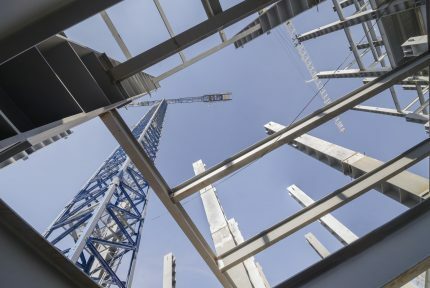 All rack arms and columns are manufactured using wide flange beams with a 50 KSI minimum yield, offering greater strength and durability compared to roll-formed steel. 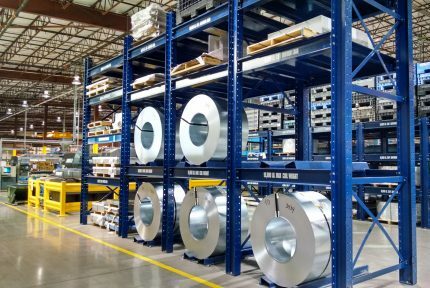 For more than 50 years, Ross Technology has been designing and manufacturing structural steel, engineered racking systems for heavy-duty industrial use. 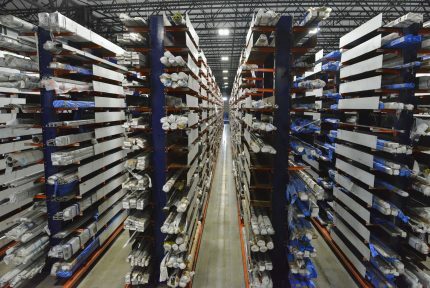 In fact, we’re recognized nationwide for our ability to handle the most challenging jobs, and commonly receive referrals from other rack manufacturers for unique or high-load applications. With that kind of reputation, and high manufacturing standards to back it up, it’s easy to see why we’re the trusted storage supplier of choice for small family-owned business and large corporations alike. Dexco Racks can be engineered to meet virtually any weight requirement. Our typical cantilever systems support loads exceeding 20,000 pounds per individual rack arm. Coil and Die Rack racks commonly support loads ranging from 2,000 to 80,000 pounds per shelf. Engineered designs for higher load requirements are also well within our capabilities. We’re always looking for a challenge but never afraid to tackle the routine. 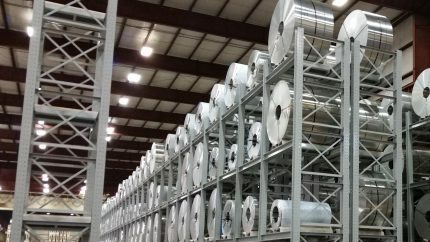 Whether you’re looking to store building materials, steel plate, sheet metal, aluminum coils, manufacturing tooling or any combination thereof, our staff can engineer a rack system that meets your unique storage requirements for capacity and safety. Given that our racks are entrusted to protect your people and property, Ross goes to great lengths to produce the strongest, most reliable products available. Our ISO 9001:2015 certification assures that we adhere to the world’s most exacting standards for quality manufacturing, and that quality is consistently improved upon. 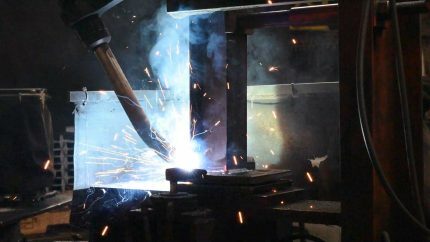 State-of-the-art manufacturing and robotic welders provide consistent, high-quality products every time. In-house powder coating allows us to maintain complete control over every stage of the manufacturing process from fabrication to finish. Ross offers both standard and custom engineered rack designs for a wide range of weight and capacity requirements. Standard designs offer the best value and shortest lead times. If you’re looking for a custom design for greater flexibility or higher loads, we can still offer favorable pricing by developing efficient designs and leveraging our purchasing volume to optimize costs. So, no matter how big or small the job, Ross gives you the most reliable rack system available at an affordable price.